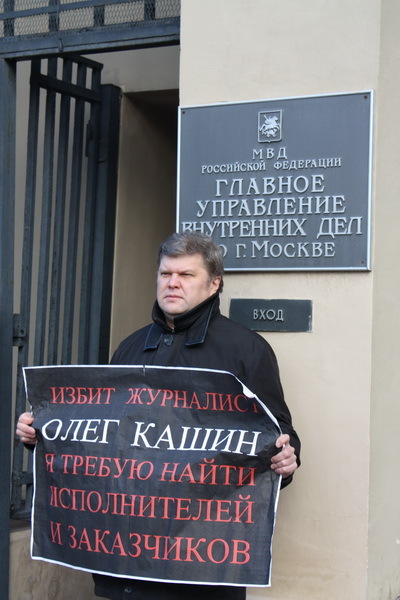 YABLOKO’s leader Sergei Mitrokhin participated in the picketing of the Moscow Interior Office where journalists and public activists have been holding an ongoing action demanding to investigate the attack against journalist of the popular Kommersant paper Oleg Kashin. 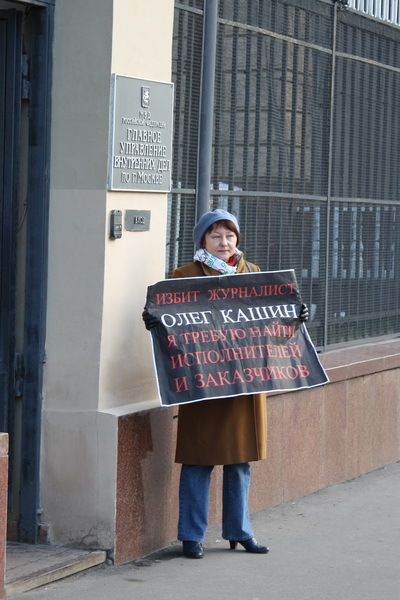 YABLOKO’s leader Sergei Mitrokhin picketed the Interior office at noon of November 7. He was replaced in the picket by Galina Mikhalyova, First Deputy Chair of the Moscow YABLOKO. 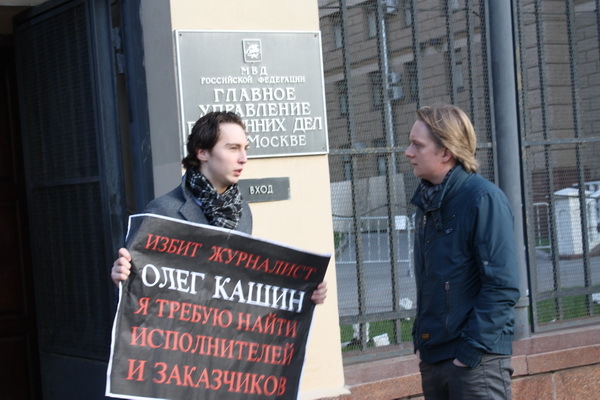 The Federal Council of the Russian United Democratic Party YABLOKO connected the attack against journalist Oleg Kashin with his professional activities. YABLOKO also stated that it was ready to participate in an independent investigation of the circumstances of this crime and render all possible assistance, its human and organizational resources to Editor-in-Chief Mikhail Mikhailin and the team of the Kommersant paper. “YABLOKO has already had an experience of such investigations: on the case of murder of our friend and party colleague well-known Russian journalist Larissa Yudina,” runs the statement.